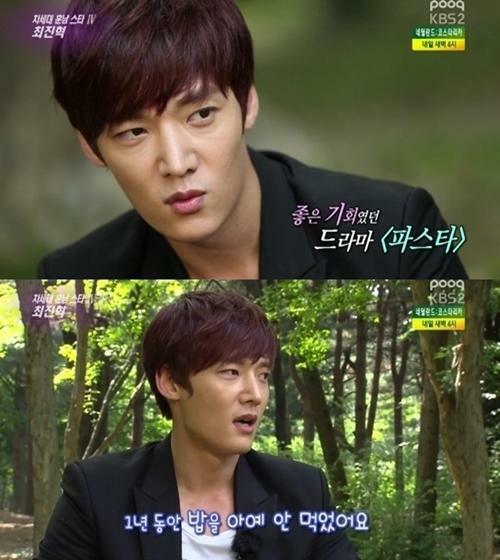 Choi Jin Hyuk told why he started a diet, and also changed his name. On July 5th, actor Choi Jin Hyuk appeared on KBS 2TV 'Entertainment Weekly' for an interview. During the show, Choi Jin Hyuk said, "I first debuted with my actual name, but changed my name after finishing drama 'Pasta.'" Choi Jin Hyuk said, "'Pasta' made a great hit, and I regretted that I did not prepare myself better." Choi Jin Hyuk also said, "I wanted to give some kind of change to myself. I lost about 10kg, and I gave myself a new name. I did not eat rice for one year, and just had chicken breast, sweet potatoes, and potatoes." Meanwhile, Choi Jin Hyuk told that drama 'Gu Family Book' gave him a big chance in his career.